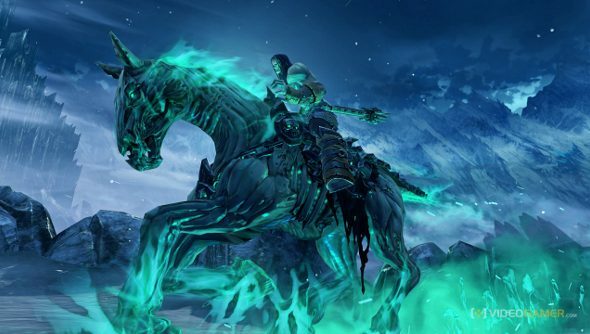 Vigil Games was one of the many victims of THQ’s bankruptcy, left unable to make Darksiders 3, forced to watch as others bid on the series they had created. The core team ended up at Crytek, forming Crytek US, but that wouldn’t last either. Last month, Vigil founder David Adams resigned, and he’s taken Crytek USA devs with him. Adams told Polygon that money troubles at Crytek and a lack of communication spurred his desire to resign and form an independent studio. He had the idea and followed through all in one day. Gunfire Games was the result of this. The team is seven in number at the moment, all of the leads from Crytek USA, and studio director Matt Guzenda says that they are still working on the next round of developers coming around. But what will they work on? They’re considering Darksiders, but that’s not really their call. It’s Nordic Games that own the series now, and despite saying it’s not dead, they’ve not announced any plans for it either. Even while much of Vigil was at Crytek, however, they said they were in talks with them. “That is one of the options we are exploring,” Adams said. “But we don’t want to jump into something immediately. We want to weigh our options.” The talks with Nordic continue, though. Besides Darksiders, the new studio is in “initial discussions with a couple of different groups”. This is no doubt to keep the fledgling developer solvent while it figures out what its long term plans are.